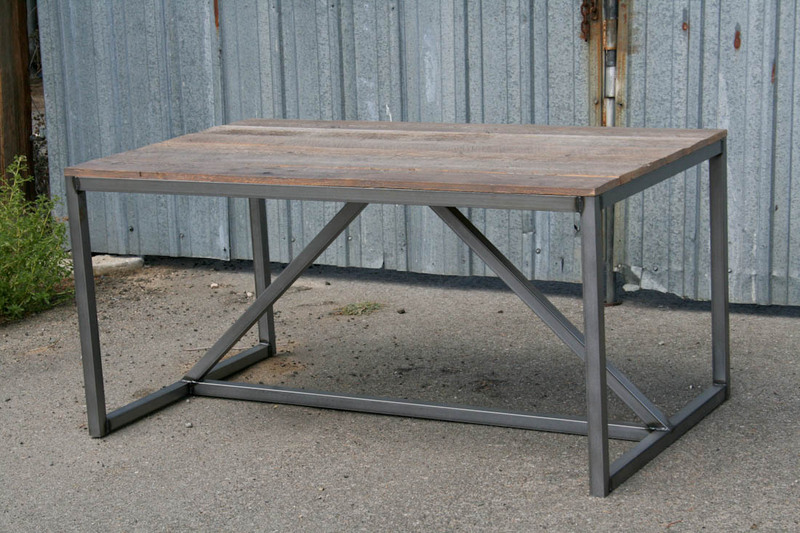 This is a modern industrial dining table, but would also make a great desk. 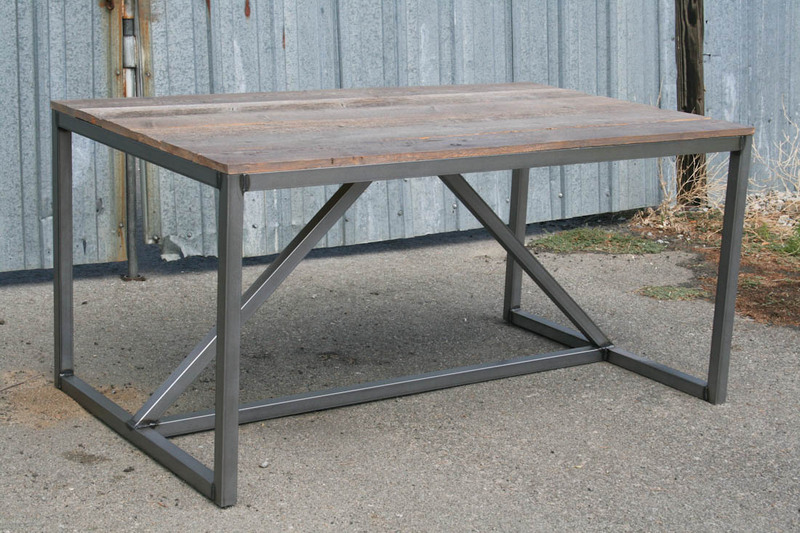 The reclaimed wood surface will be flat and smooth enough to allow you to use it, but will still retain the variation and charm expected of reclaimed wood. 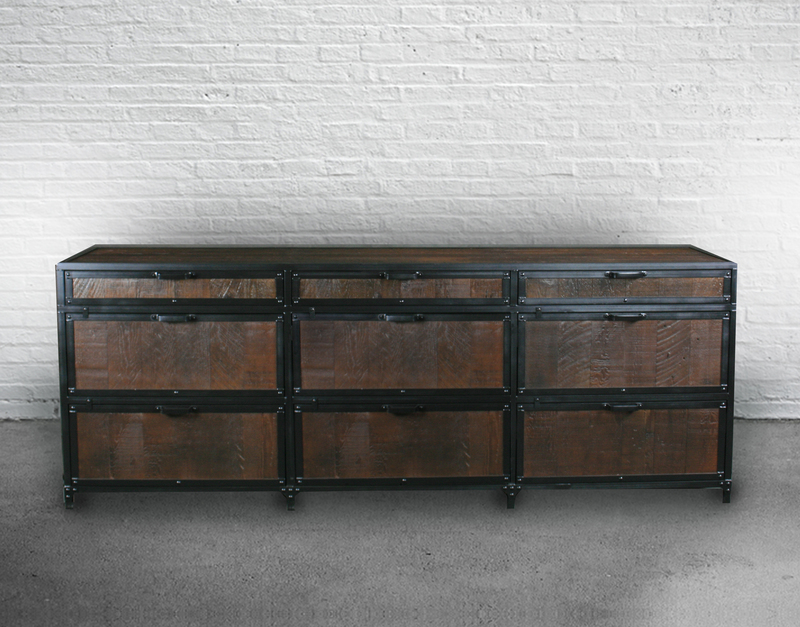 The wood could be sealed (like the wood pictured) or made smoother without losing any character. 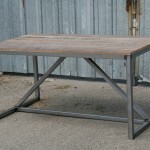 Sealing the wood would also help protect your industrial dining table or desk from stains. 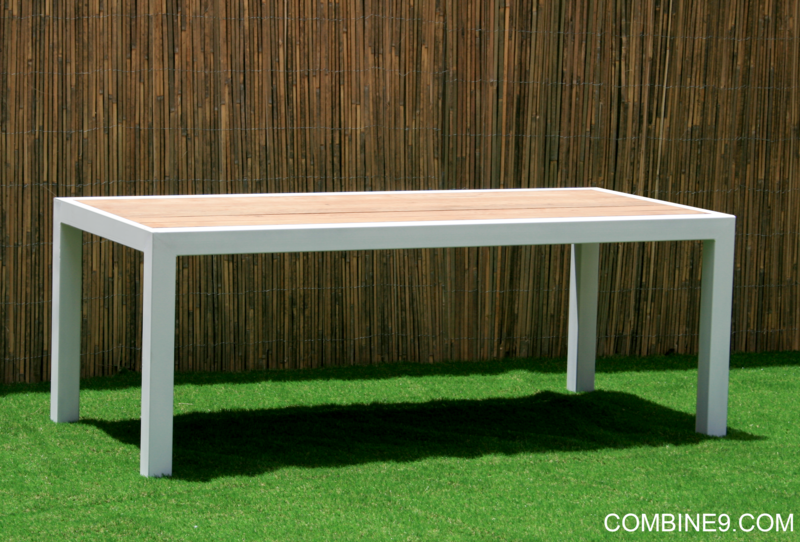 New wood could also be used and stained almost any color. 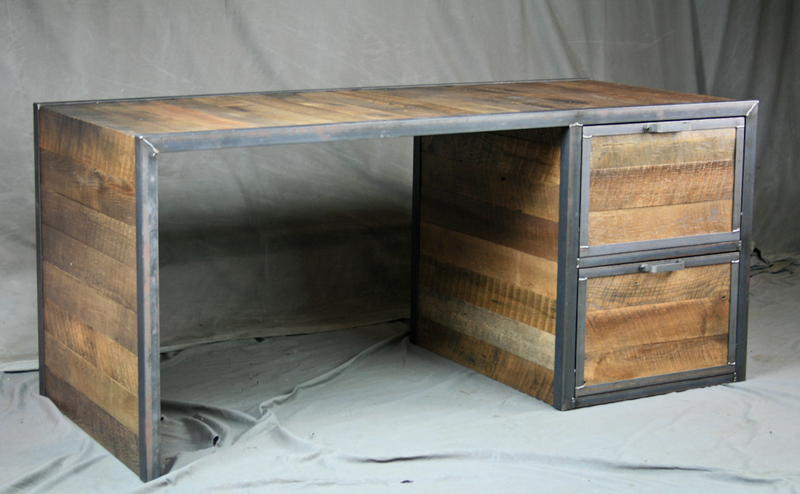 We have a wide selection of reclaimed wood, with shades ranging from light to dark and everything in between. 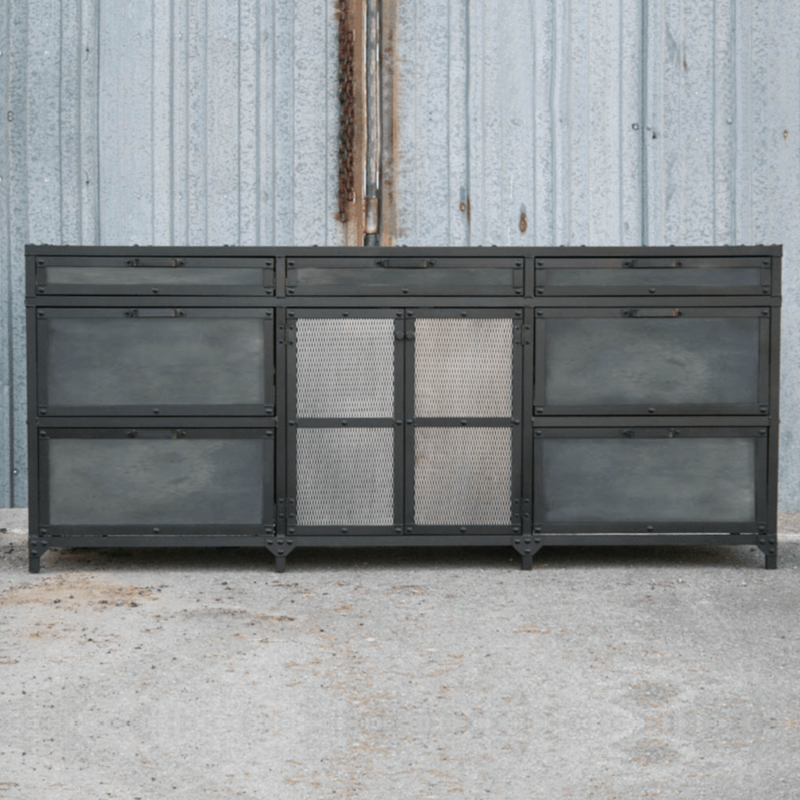 The legs pictured have been left raw, which adds to the industrial look, but they would also look great rust-colored or in a black patina. 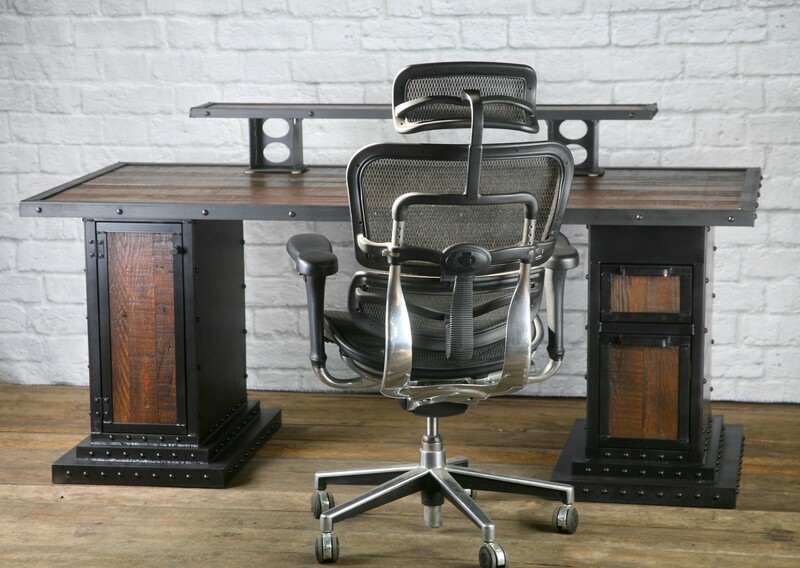 This can also be made in a variety of sizes to fit a small office or breakfast nook, or a large dining or conference room. 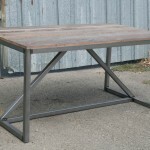 These are only a few of the options available for modifying this industrial dining table. 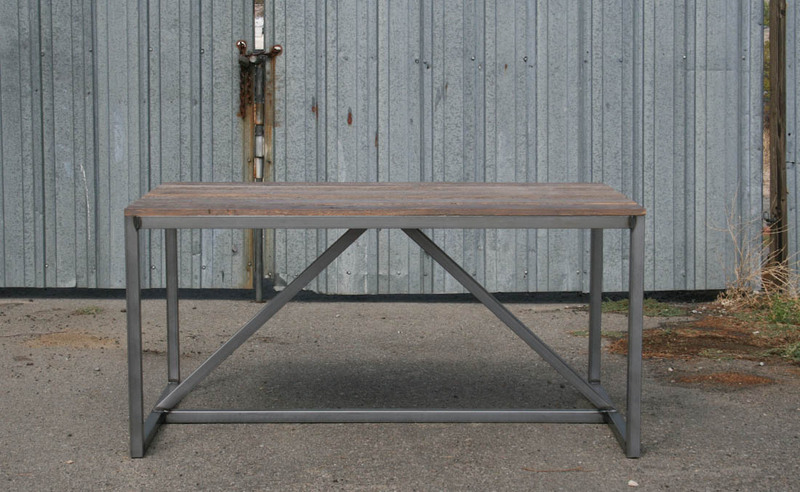 We offer optional decorative touches that can be added, such as rivets and cross braces. 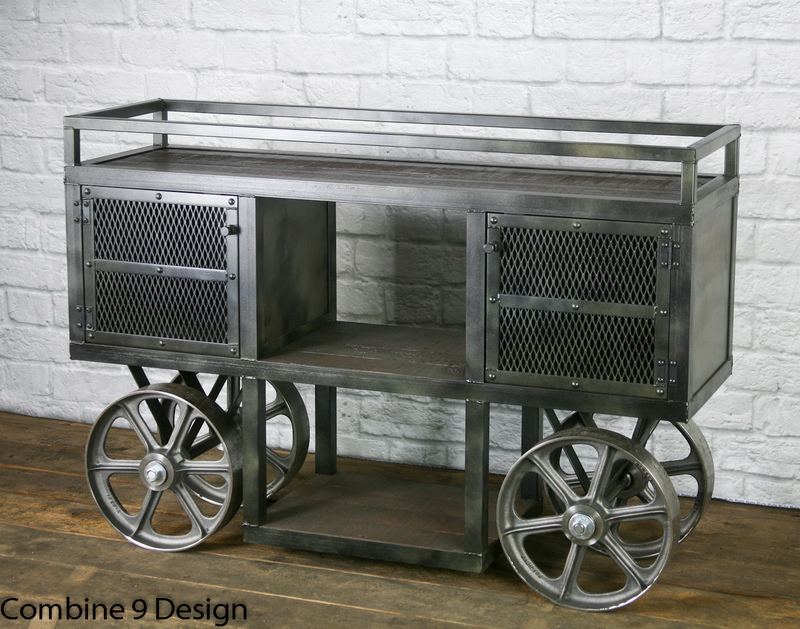 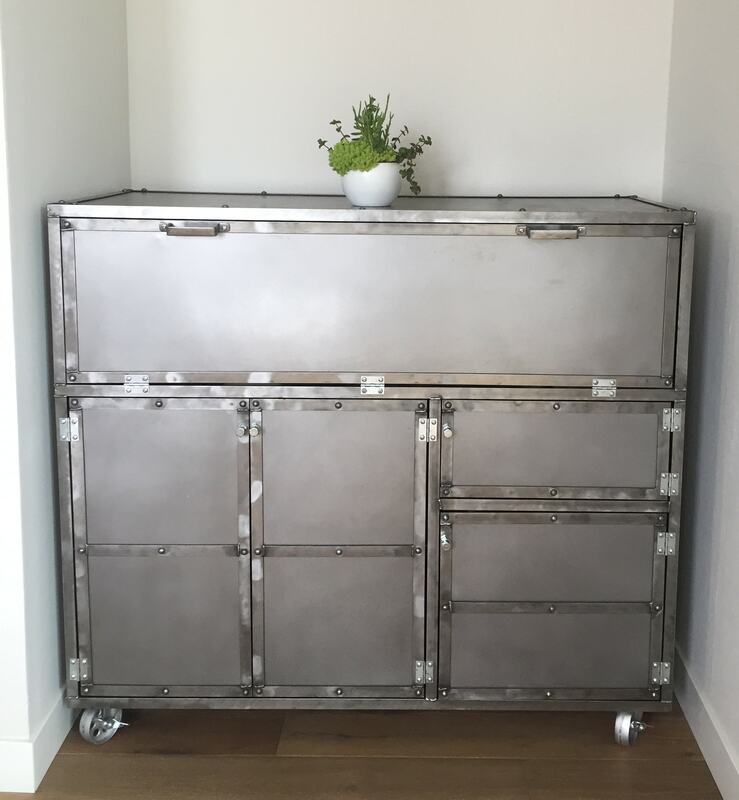 This piece is extremely versatile and can be modified to meet your needs and fit whatever room it’s meant for. 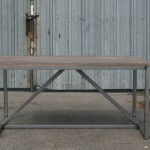 Be sure to look at our other pieces to find benches or office furniture to match your industrial dining table or desk!